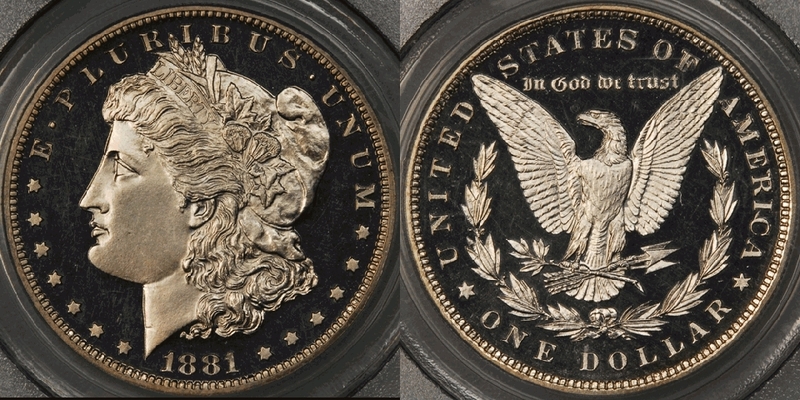 We have nicely toned 1880-S, 1883-O, and 1904-O Morgan dollars, plus a very rare SBA dollar. A very rare variety in the Cherrypickers Guide that for some reason PCGS does not recognize. 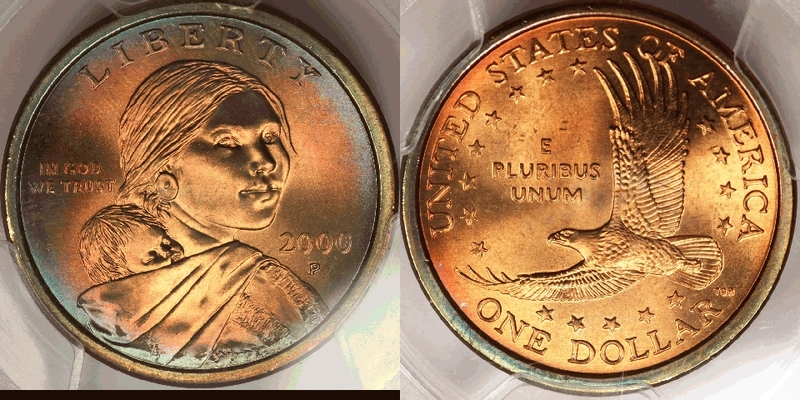 Wonderful toning, which is unusual on a Sacagawea dollar. Shadows are the result of lighting during photography. 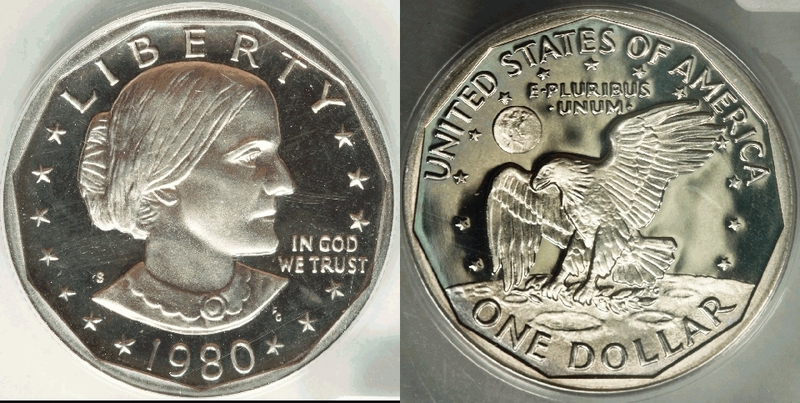 There are NO shadows on the coin! Satisfaction guaranteed!